Matar ka Paratha is one of my favorite winter breakfast. Why only winter? Because this is the time of the year when fresh green peas are available in abundance. And what could be a better way to enjoy them than making a hearty stuffed paratha. 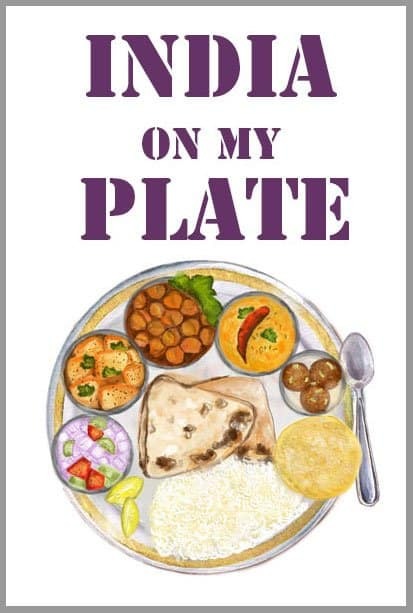 There’s one thing which is kind of an inarguable fact about Punjabi culture; that we live for food. We start to feel incomplete if a week goes by where we haven’t had a meal of hot fresh Parathas with dollops of butter! In the huge extended family of Parathas, Matar ka Paratha is surely one of my hot choices. As a kid, I was never a fan of peas. I hated them so much that I used to pick them out of my plate but as I grew up, so did my taste and look at me now! I am helplessly in love with them and creating delicious recipes like Matar Ka Paratha with these green pearls. Peas don’t really have a strong flavor base. Some might even say that they taste rather bland. 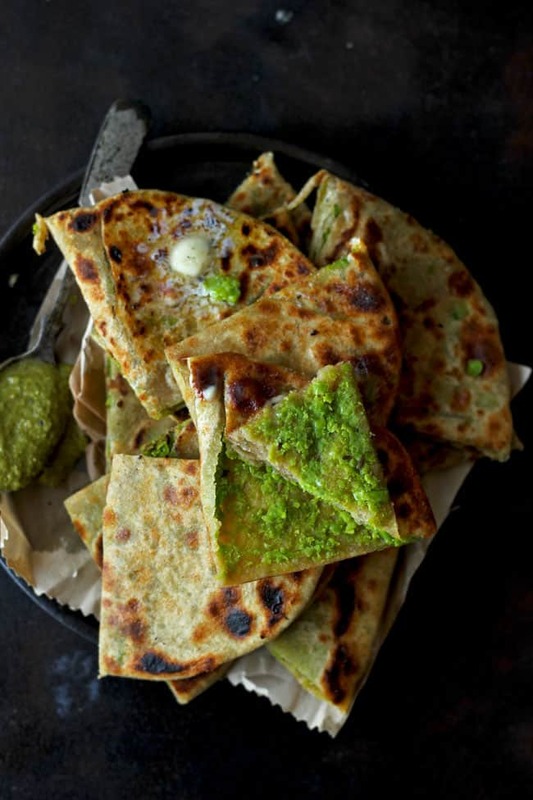 However, you don’t have to worry about the same with these parathas. Mix in some spices, follow the recipe and you’ll be surprised by the deliciousness of the buttery, soft, melt in the mouth Matar Paratha. Peas are starchy yet high in fiber, vitamins, minerals, and proteins. It’s a green vegetable after all. Stuffing them into parathas gives me a whole new excellent manner in which they can be consumed. 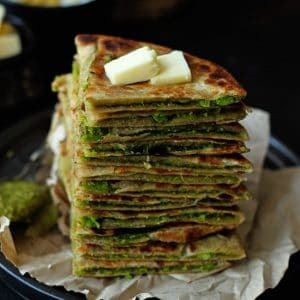 Talking about the recipe, there are three ways to prepare the green peas stuffing for the paratha. Method 1) Steam or pressure cook the green peas, combine them with the spices and blend to make the stuffing. Method 2) Blend the green peas along with ginger-garlic paste to a coarse powder. Heat oil, add cumin seeds followed by the green peas mixture. Fry the green peas mixture till it starts leaving the surface of the pan and comes together. The stuffing will be totally dry and nicely roasted. It is a time taking process but my personal favorite. Method 3) Prepare the stuffing as suggested and combine it while binding the dough. This way you won’t have to stuff the paratha. The dough itself will have the green peas flavor. The best way to enjoy a Matar Ka Paratha is with loads of butter, flavorsome raita, and piping hot ginger tea. This combination is totally a winter bliss and always a classic Indian breakfast. That never goes out of fashion. 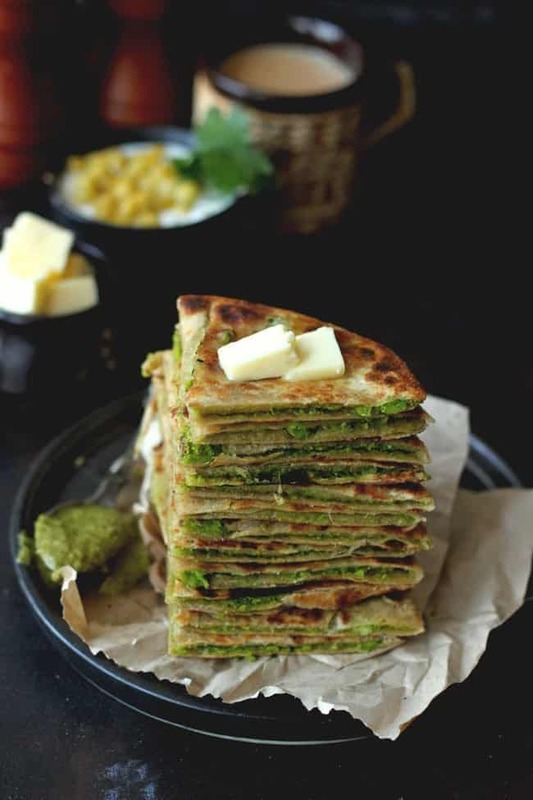 Other Winter Paratha Recipes you might enjoy – Gobi Paratha, Aloo Methi Paratha, and Spring Onion Paneer Paratha. Matar Ka Paratha is a delicious winter breakfast recipe idea. 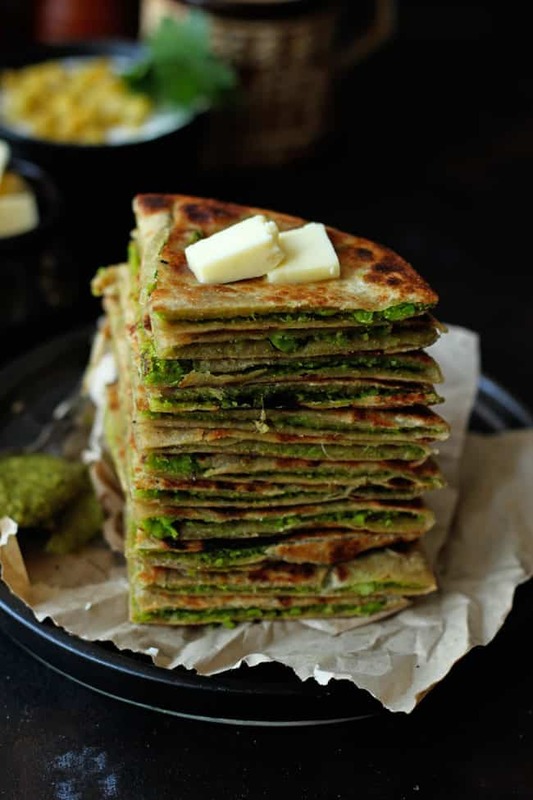 Learn how to make peas stuffed paratha in few simple steps. To prepare the stuffing heat oil in a heavy bottom pan. Add cumin seeds and cook for few seconds. Next add the green peas along with salt, ginger-garlic paste and spices. Stir to combine. Cook the mixture covered till the green peas are tender. Turn off the heat. Allow the stuffing to cool down. Meanwhile, prepare the dough for the paratha. We need chapati like dough for the matar paratha. Keep the dough aside till required. Blend the green peas mixture in a food processor. Keep it little coarse and try not to make a fine paste of the peas mixture. To make the Matar Paratha, heat a griddle pan (tawa) over medium heat. Add one tablespoon of the peas stuffing in the center of the rolled out disc. Be careful as not to overstuff the paratha. Bring together the edges of the dough to cover the stuffing. Gently press the disc with the pressure of your palm. Now roll the stuffed paratha gently to the size of a chapati or roti. Cook the the matar paratha on a preheated griddle by smearing a teaspoon of ghee/oil till browned and uniformly roasted on both sides. Serve Matar Ka Paratha warm with yogurt, pickle or butter.